Across 25 years and five administrations, we have kicked the North Korean can down the road. We are now out of road. 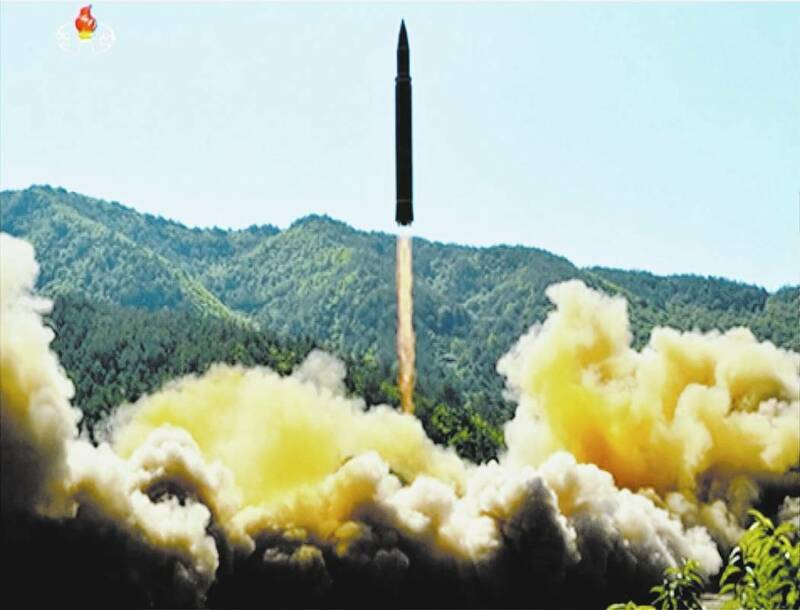 On July 4, North Korea tested an intercontinental ballistic missile apparently capable of hitting the United States. As yet, only Alaska. Soon, every American city. Moreover, Pyongyang claims to have already fitted miniaturized nuclear warheads on intermediate range missiles. Soon, on ICBMs. Secretary of State Rex Tillerson’s initial reaction to this game changer was not encouraging. “Global action is required to stop a global threat,” he declared. This, in diplo-speak, is a cry for (multilateral) help. Alas, there will be none. Because, while this is indeed a global threat, there is no such thing as global interests. There are individual national interests and they diverge. In this case, radically. Take Russia and China. If there’s to be external pressure on North Korea, it would come from them. Will it? On Tuesday, they issued a joint statement proposing a deal: North Korea freezes nuclear and missile testing in return for America abandoning large-scale joint exercises with South Korea. This is a total nonstarter. The exercises have been the backbone of the U.S.-South Korea alliance for half a century. Abandonment would signal the end of an enduring relationship that stabilizes the region and guarantees South Korean independence. In exchange for what? A testing freeze? The offer doesn’t even pretend to dismantle North Korea’s nuclear program, which has to be our minimal objective. Moreover, we’ve negotiated multiple freezes over the years with Pyongyang. It has violated every one. The fact that Russia and China would, amid a burning crisis, propose such a dead-on-arrival proposal demonstrates that their real interest is not denuclearization. Their real interest is cutting America down to size by breaking our South Korean alliance and weakening our influence in the Pacific Rim. These are going to be our partners in solving the crisis? And yet, relying on China’s good graces appeared to be Donald Trump’s first resort for solving North Korea. Until he declared two weeks ago (by tweet, of course) that China had failed. “At least I know China tried!” he added. They did? Trump himself tweeted out on Wednesday that Chinese trade with North Korea increased by almost 40 percent in the first quarter, forcing him to acknowledge that the Chinese haven’t been helping. Indeed not. The latest North Korean missile is menacing not just because of its 4,000-mile range, but because it is road mobile. And the transporter comes from China. In the calculus of nuclear deterrence, mobility guarantees inviolability. (The enemy cannot find, and therefore cannot pre-empt, a mobile missile.) It’s a huge step forward for Pyongyang. Supplied by Beijing. How many times must we be taught that Beijing does not share our view of denuclearizing North Korea? It prefers a divided peninsula, i.e., sustaining its client state as a guarantee against a unified Korea (possibly nuclear) allied with the West and sitting on its border. Nukes assure regime survival. That’s why the Kims have so single-mindedly pursued them. The lessons are clear. Saddam Hussein, no nukes: hanged. Moammar Gadhafi, gave up his nuclear program: killed by his own people. The Kim dynasty, possessing an arsenal of 10-16 bombs: untouched, soon untouchable. What are our choices? Trump has threatened that if China doesn’t help we’ll have to go it alone. If so, the choice is binary: acquiescence or war. War is almost unthinkable, given the proximity of the Demilitarized Zone to the 10 million people of Seoul. A mere conventional war would be devastating. And could rapidly go nuclear. Acquiescence is not unthinkable. After all, we did it when China went nuclear under Mao Zedong, whose regime promptly went insane under the Cultural Revolution. The hope for a third alternative, getting China to do the dirty work, is mostly wishful thinking. There’s talk of sanctioning other Chinese banks. Will that really change China’s strategic thinking? Bourgeois democracies believe that economics supersedes geostrategy. Maybe for us. But for dictatorships? Rarely. If we want to decisively alter the strategic balance, we could return U.S. tactical nukes (withdrawn in 1991) to South Korea. Or we could encourage Japan to build a nuclear deterrent of its own. Nothing would get more quick attention from the Chinese. They would face a radically new strategic dilemma: Is preserving North Korea worth a nuclear Japan? We do have powerful alternatives. But each is dangerous and highly unpredictable. Which is why the most likely ultimate outcome, by far, is acquiescence. Contact Charles Krauthammer at letters@charleskrauthammer.com.